Altitude Sickness or altitude mountain sickness (AMS) usually occurs when you are high above sea level, where the air is thinner and there isn’t enough oxygen. Altitude sickness can strike regardless of how healthy you are and your fitness level, or if you are male or female. It tends to come on quite suddenly causing dizziness, headaches, nausea and ones breathing becomes difficult. People traveling to high mountain destinations or thinking about doing a trek/hike in countries like Peru, Nepal and Ecuador should consider having medication on hand to help alleviate symptoms. When you are 2500 meters above sea level climbing there isn’t usually a chemist nearby. Being prepared is a smart idea, there are ways to limit altitude sickness or prevent it altogether. Make sure you buy altitude sickness medication before leaving home. 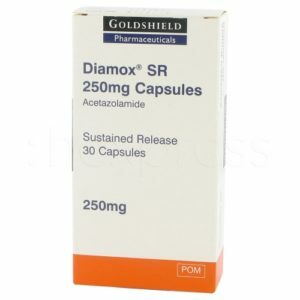 Diamox is a popular treatment for altitude sickness. Altitude sickness can strike regardless of your health and fitness level, or if you are male or female. Some people become overwhelmed with emotion and become quite confused and hyperventilate along with other symptoms. Other people can be in a state of shock unsure what is happening to them. Can I prevent altitude sickness? If you are venturing to heights over 8000 ft (2438 m) it is best to try and help the body adjust to the height for a night before going further. If you are skiing during the day try and sleep 1500 ft (457 m) lower at night. If you haven’t been to a high-altitude city before try not to fly directly into the city if possible. If not limit drinking alcohol or large meals. Wear comfortable clothing and drink heaps of water to keep you hydrated. Cities that are high above sea level include; Cuzco, Peru, La Paz and Bolivia in South America. Lhasa and Tibet in China. Diamox prescription tablets can be taken before embarking on a high altitude trip. Diamox doesn’t work straight away and will take 24-48 hours to help stimulate the respiratory system reducing the erratic breathing you can suffer from. 250 mg is taken with or without food every 12 hours. How do I buy altitude sickness medications online? It’s always a good idea to buy medication before leaving for any trip. You can buy altitude sickness medication online in only a few minutes. First you will need to complete a free online consultation to buy the medication. Once that’s completed and that doctor has approved you for the medication. It will be sent out within 48 hours to your home, giving you more time to pack.